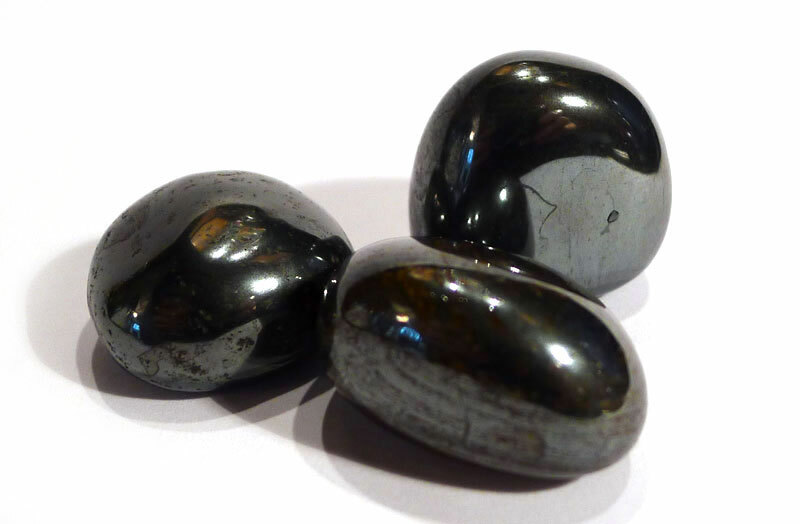 Also known as haematite, kidney ore and red iron ore.
Hematite grounds and protects, and strengthens the will. In common with many iron minerals, it has a masculine ‘warrior’ energy, thereby supporting the determination to survive and the desire for further development. 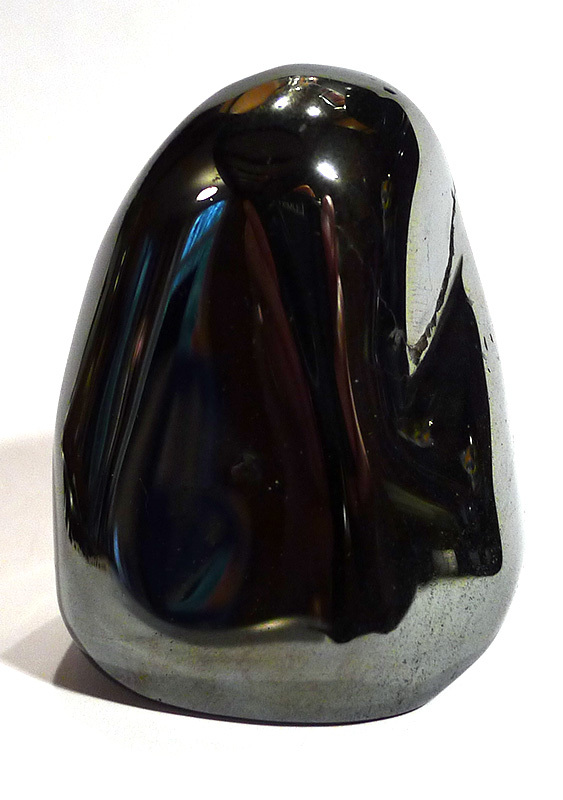 Its reflective quality can be likened to highly polished armour, and it is useful for deflecting away negative energy and ‘ill wishing’. This mirror-like quality also works the other way, promoting awareness of personal issues and patterns by encouraging self-reflection. Because of its high iron content, it is used in the treatment of anaemia and circulatory problems. It clears and re-aligns the lower chakras, allowing any unwanted or unnecessary energy to drain down and out of the body. 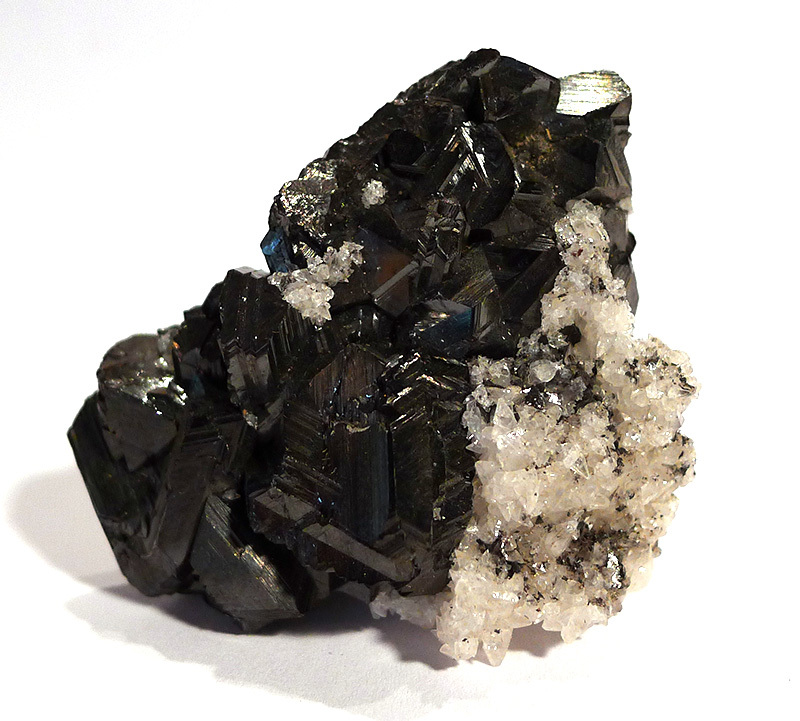 Hematite also draws off heat, and can be useful in the treatment of fevers. 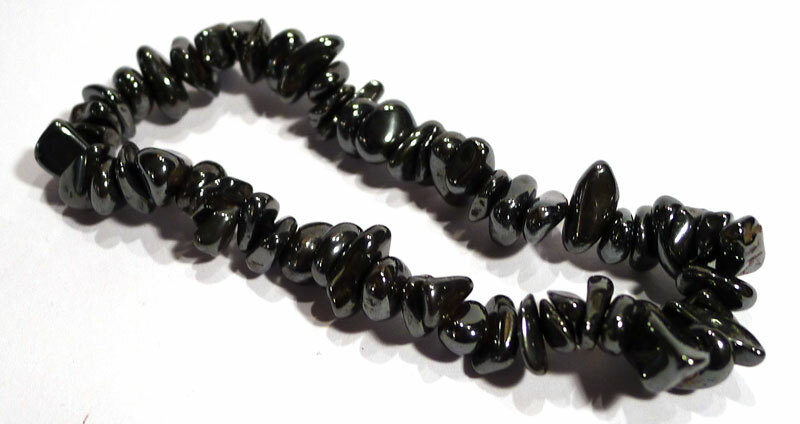 Hematite can be helpful when undergoing chemotherapy, when many people become extremely ungrounded; in addition to which it supports the patient’s will to survive, and treats the accompanying anaemia. Most people get on well with it, but not everyone finds it comfortable to wear. There are no health risks associated with this mineral. Hematite jewellery can be brittle and easily broken if knocked or dropped, and although it is usually okay placed directly in water when making a gem essence, it’s best to select a piece without fissures or cracks, as otherwise is might be prone to rusting. Hematite is our most important iron ore. It’s around 70% iron, making it very heavy; because of this, and its metallic steel-grey finish when polished (the most common form available), it is easily recognisable, but it is worth noting that it occurs in a variety of forms. The most common hematite is an earthy, granular, massive form known as red ochre, which has been used as a red pigment for tens of thousands of years. The botryoidal version is known as kidney ore. 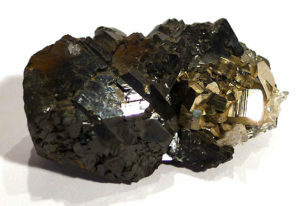 When displaying well-formed crystals or a granular texture with the classic steel-grey metallic lustre, it is referred to as specular hematite. Sometimes crystals arrange themselves in a flower-like design, known as an iron rose or hematite rose. It is also found in dark silvery-grey scaled masses, silvery-grey crystals, and dark-grey masses, to name but a few. 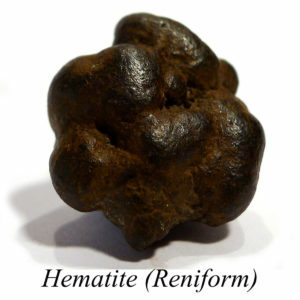 Finely milled and purified hematite is known as jeweller’s rouge, and used for polishing jewellery and plate glass. What they all have in common is a rust-red streak – even those with metallic lustre. 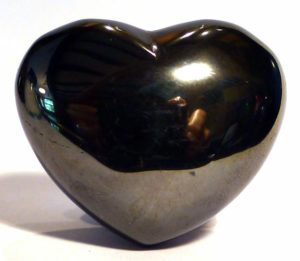 Hematite is a popular material for carving and jewellery making. 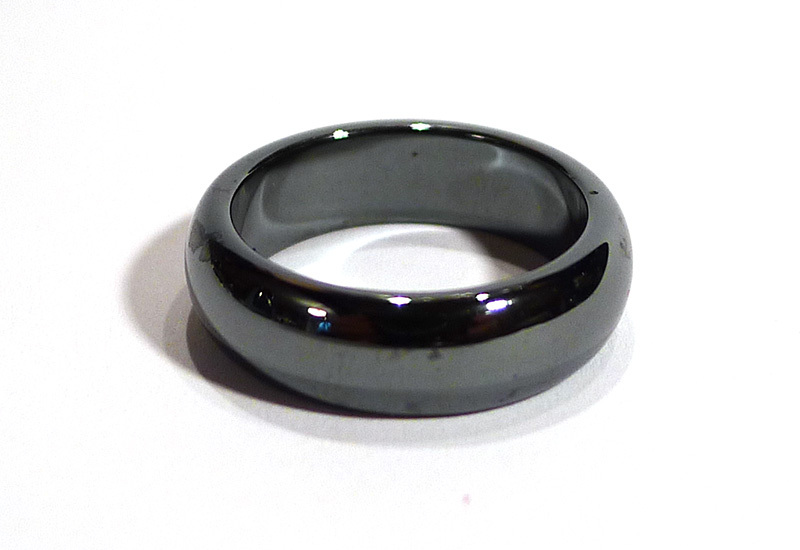 There is an artificial hematite, known as hematine, and it can be difficult to tell the difference between this and natural polished hematite. A few years ago there was a fashion for magnetised hematite jewellery and toys. This is not a natural material, but magnetised hematine. Originally named about 325-300 BC by Theophrastus, from the Greek, Ατματιτης atmatitis, meaning “blood stone”. This word was translated in 79 AD by Pliny the Elder, as haematites, “bloodlike stone”, in allusion to the vivid red colour of the powder. The modern form evolved by authors simplifies the spelling by excluding the “a”. 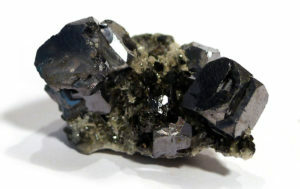 Hematite has a long history, and one intimately connected with life on earth as well as early humanity. Some (though not all) hematite was laid down around 3.4 billion years ago, when cyanobacteria performed the earliest photosynthesis. At that time, the ocean contained a great deal of iron in suspension. As the cyanobacteria released oxygen through photosynthesis, the oxygen molecules bonded with the iron, drawing it down to the ocean floor. The oxygen was eventually released as gas – one of the most important steps in creating the Earth’s atmosphere – but this could not happen until the ocean was cleared of iron. 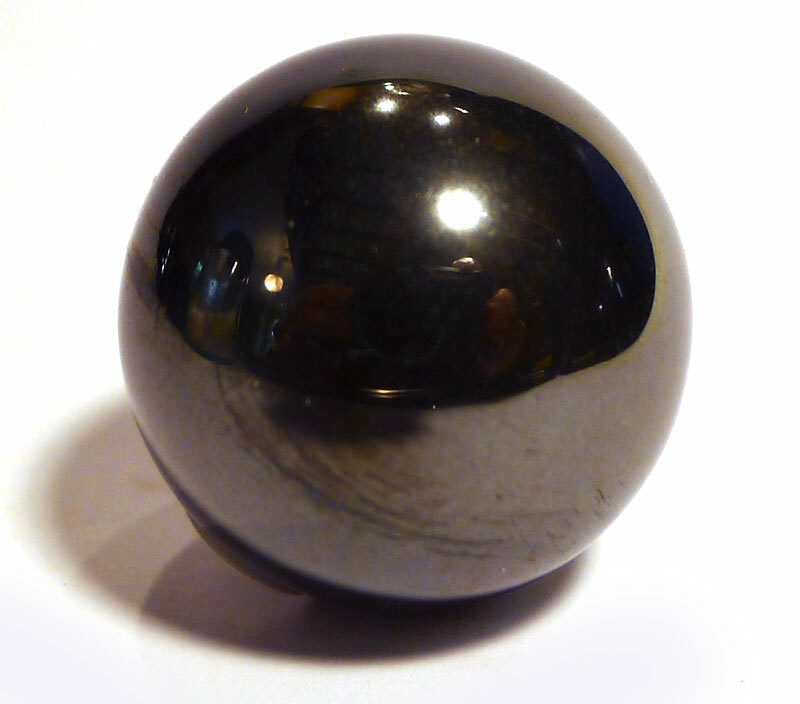 Kunz, in The Curious Lore of Precious Stones (1913), suggests this was presumably to make them invulnerable; but hematite powder would have also coloured the skin red, and so it may have been intended to startle or frighten their enemies. 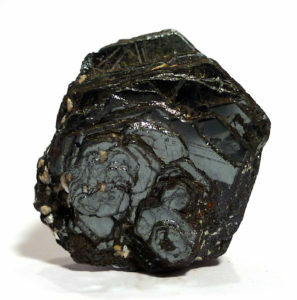 Traditionally, hematite was used in many cultures over thousands of years to staunch blood flow in wounds (noted by Anselmus Di Boot, court physician to Rudolph II of Germany, in 1609). Interestingly, this use is based on fact: hematite powder has astringent qualities that aid coagulation. The Ancient Egyptians prescribed it as a wound dressing for this reason. Pliny the Elder cites its use (usually through ingestion) to stop excessive menstrual bleeding and treat blood disorders.